I love designing for this time of year, us knitters love any excuse to get our ‘Knit On’ and gift season is the perfect excuse for extra knitting hours! 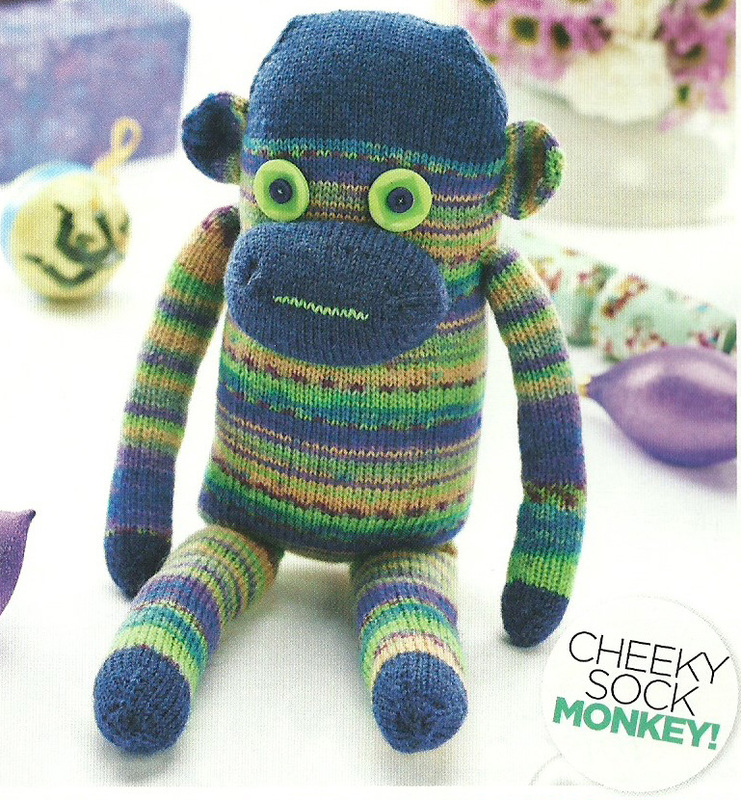 In the November issue of Let’s Knit I have four new designs. My first glimpse of the cover was at Alexander Palace, Knitting & Stitching Show. 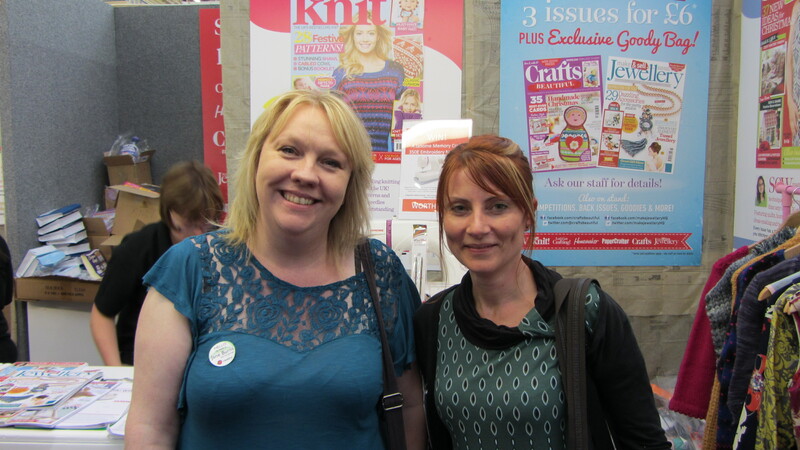 I popped along to the stand to meet up with Sarah Neal, Let’s Knit Editor and I was delighted to see two of my designs on the cover. I am playing it cool in the picture, but inside I am jumping up and down squealing. Talking of playing it cool, let me introduce you to Monkey. This cool dude is knitted in the round; the head and body being one piece, and separate tubes worked for arms, legs, nose and ears. 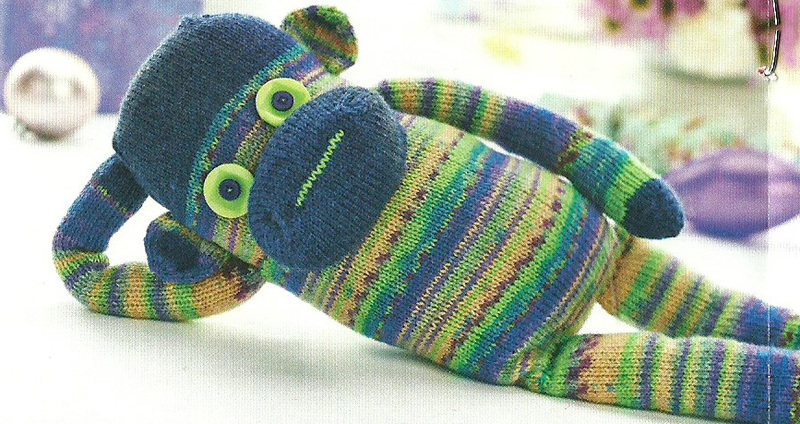 This is an ideal project for using up left over sock yarn! 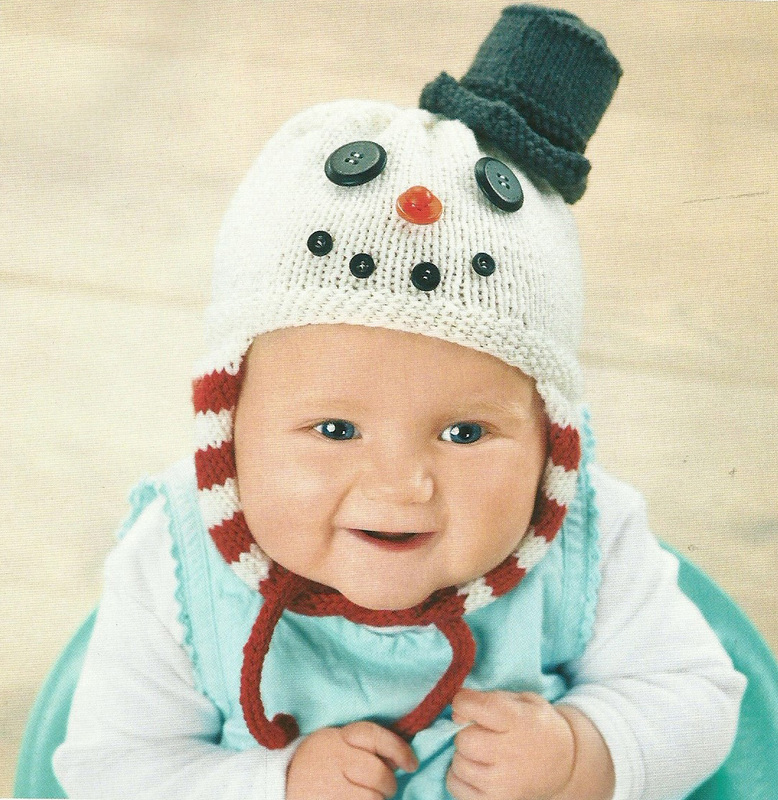 This quirky novelty topper is knitted in Rowan Pure Wool to keep your little treasure snug and warm. How about making these delicate lace trimmed, cable and lace mittens as a Christmas Gift? 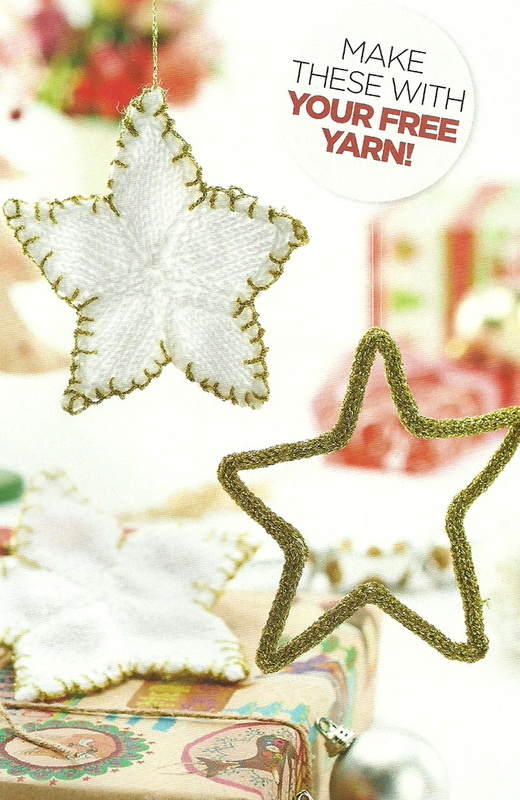 Finally, this issue of the magazine has a cover mount kit containing the yarn you need to make these three knitted stars. 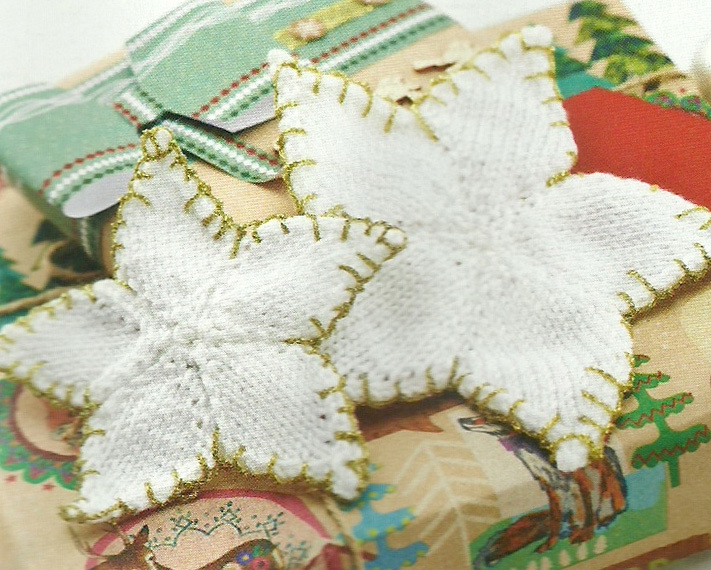 I have just published another free pattern on Ravelry. Inspired by my trip to the cinema in the summer to see Despicable Me 2. Which was possibly the funniest film I have seen in a number of years! (I laughed more than most of the children, not sure what that says about me). 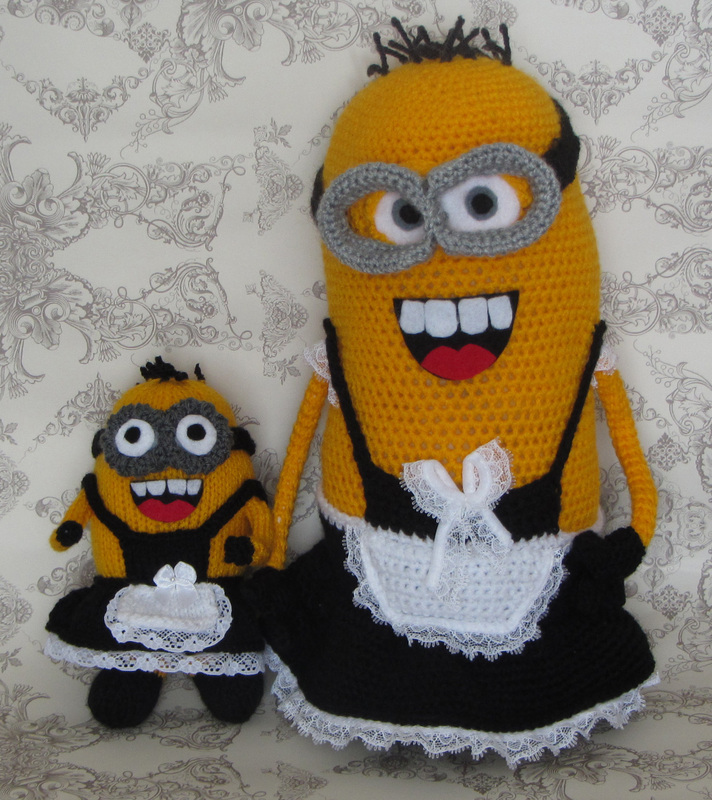 After working my way through the amazing blog tutorial by ‘All about Ami’ I made a crochet minion and adapted it to make a French maids outfit, including frilly pants. This inspired me to make a mini knitted version. Check out those frilly bloomers!